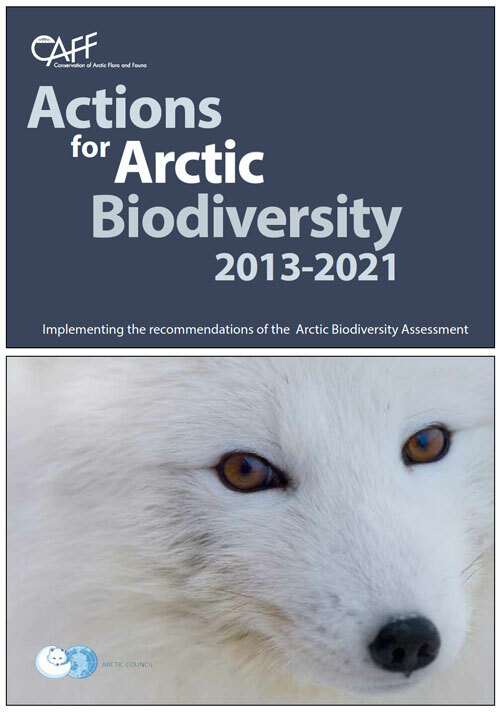 Actions for Biodiversity 2013-2021: implementing the recommendations of the Arctic Biodiversity Assessment, is the implementation plan for the Arctic Biodiversity Assessment's 17 recommendations. It is a living document that will be reviewed and updated every two years. The plan is not meant to be exhaustive or to replace working group work plans; rather it is complementary, emphasizing specific actions that address the ABA recommendations. The Arctic Council Ministers agreed to implement 17 recommendations articulated in the Arctic Biodiversity Assessment: Report for Policy Makers. Implementing the Arctic Biodiversity Assessment (ABA) recommendations requires a combination of building on existing efforts and embarking in new directions. Many ongoing actions are critical to successful implementation of the ABA recommendations. Ongoing actions are listed under the most relevant recommendation. If there is a specific deliverable, the action is included under the appropriate phase. safeguarding important marine areas (Recommendation 6). communications and outreach (Recommendation 17). improving knowledge and public awareness, in particular, monitoring and traditional and local knowledge (Recommendations 13, 14, and 15), and indicator development (Recommendation 16). improving knowledge and public awareness (Recommendation 17), including by contributing to the Convention on Biological Diversity assessment on achievement of the United NationsR17; Aichi Biodiversity Targets and convening the second Arctic Biodiversity Congress. The focus for the final implementation period will be on completing projects, implementing strategies and plans developed in early phases, evaluating progress, and designing follow-up. Who are the recommendations for? 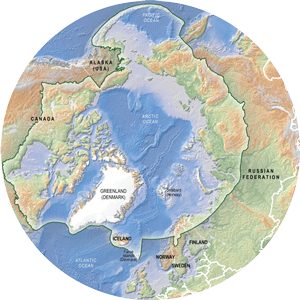 The ABA recommendations are directed to the Arctic Council as a whole. 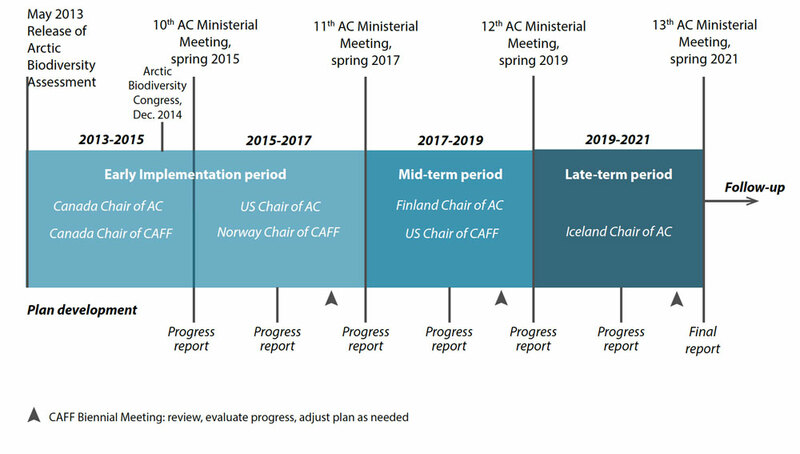 While some are intended to be implemented through CAFF, others are intended to be led in full, or in part, by other Arctic Council working groups and other subsidiary bodies. Some recommendations will require action by national authorities, stakeholders, and international organizations. The Action Plan went through a three phase process of development and was informed by the results of the Arctic Biodiversity Congress and discussions with Arctic Council countries, Permanent Participants, Working Groups, Task Forces, and Observers, is in response to this directive. Each recommendation was analysed to identify gaps and propose implementation options. Options were reviewed and actions developed for each recommendation. benefits that people receive from ecosystems and biodiversity? How well are the Arctic Council working groups and CAFF in particular, positioned to carry out this action, or to influence others to do so? What level of resources are required to implement the action: is it doable with existing resources; moderate additional resources needed; or, high level of additional resources needed? This process took into consideration the timeframe of results, giving higher weight to those actions likely to show benefits to Arctic biodiversity within the life of this plan, but still placing value on actions addressing longer-term, more fundamental needs to conserve biodiversity. Actions for earlier periods are generally more fully developed, as many actions in the latter periods of the plan depend upon priority-setting exercises, initial scoping projects, or groundwork to develop partnerships and secure commitments of resources. The resulting suite of implementation actions has extensive cross-linkages with many actions contributing to meeting more than one recommendation. What are the actions and when will they be acted upon? The following chart can be accessed when downloading the Actions for Arctic Biodiversity 2013-2021: Implementing the recommendations of the Arctic Biodiversity Assessment document. 3. Advance and advocate ecosystem-based management efforts in the Arctic as a framework for cooperation, planning and development. This includes an approach to development that proceeds cautiously, with sound short and long-term environmental risk assessment and management, using the best available scientific and traditional ecological knowledge, following the best environmental practices, considering cumulative effects and adhering to international standards.